Are you looking for a way to make your Shopify store stand out from the crowd? Then it’s time for you to switch to a better-looking theme. In this guide, we’ll show you how to pick a great theme for your Shopify store on a budget. There are over 600,000 active stores on Shopify and most of those stores use the same free themes offered by Shopify. Imagine how your shop visitors would feel if they discover another store that looks just like yours. However, many Shopify users try to avoid using premium themes since they can cost more than $180 on the Shopify themes store. But, what if we told you that you can actually buy a great looking premium Shopify store theme for as little as $29? Keep reading to find out how. When looking at the differences between free and premium themes, most people only see the price tag. Although, there many aspects of the two groups that clearly separates them and make the premium themes worth the price. For example, take a look at one of the most popular free themes on Shopify. The Supply theme is a popular theme among new Shopify users. Read some of its user reviews and you’ll see all the reasons why you shouldn’t use it. For starters, the theme doesn’t have a mega-menu where you can showcase multiple categories and sub-categories. It doesn’t have add to cart buttons for the products on the homepage. Hover effects are barely visible. The product pages are poorly designed. The list of bad qualities goes on. When compared with a premium theme, these free themes don’t stand a chance. And it’s exactly what separates amateur Shopify users from the professionals. In addition to providing a great user experience, premium themes also help you make a great first impression. Your Shopify store needs to be able to show off professionalism and make your shop look trustworthy enough for the users to buy a product from you. A shop with a premium theme will help you get this job done. Now that you’re convinced of the many uses of a premium theme, it’s time to figure out how to find the right theme for your Shopify store with the best features. You can start by looking for a design that looks great on mobile devices. 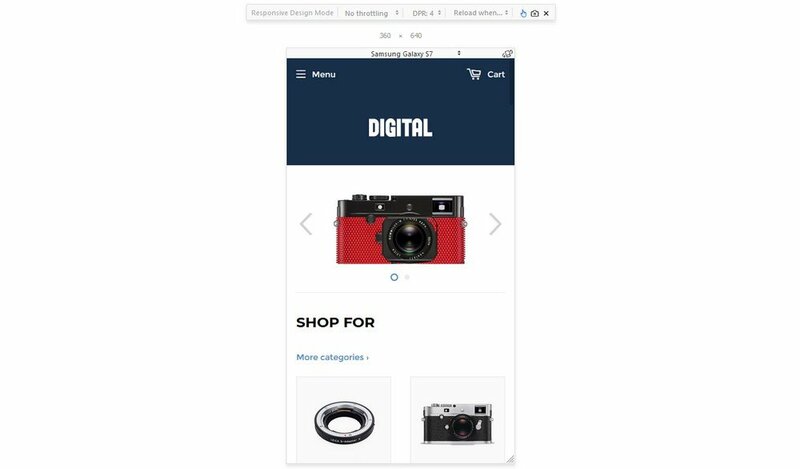 While it’s important to make sure that your Shopify store looks great on all types of devices, you need to put more attention on how the store theme works on mobile devices. According to reports, 62% of smartphone users have made an online purchase within the last 6 months. In the US alone, more than 125 million consumers own a smartphone. And an estimated 10 billion mobile devices are currently in use globally. That’s a massive market that you can target through your store. Above all, make sure the theme you’re about to buy looks great on mobile devices. Both Chrome and Firefox have developer tools for testing the responsiveness of website designs. Simply load the live demo for the theme and press CTRL + Shift + M on Firefox or CTRL + Shift + I on Chrome to access the responsive device toolbar and test the theme design using different device screen presets. Facebook ads and Instagram influencer marketing are two of the most successful strategies for driving sales and traffic to your Shopify store. When you’re running promotional campaigns on these social media platforms, you’ll be linking to your single product pages to generate more sales. 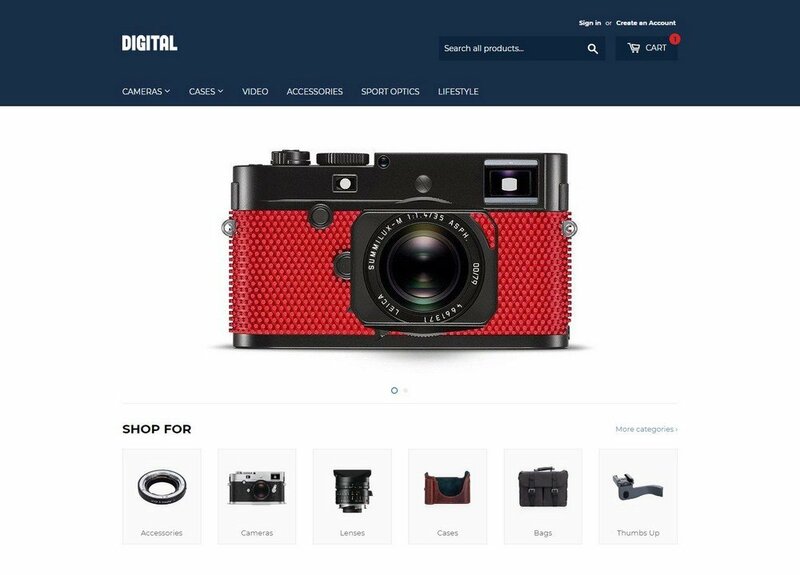 Your product pages need to look simply perfect to be able to convince those visitors to hit the “Add To Cart” button. 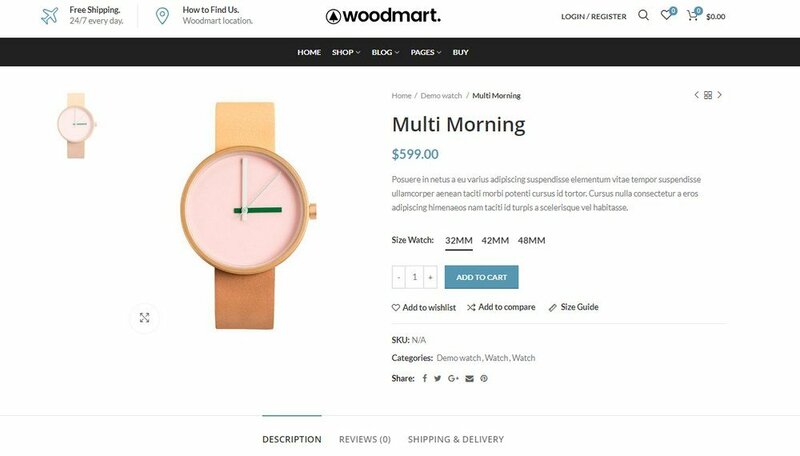 When choosing a theme for your Shopify store, make sure its’ single product pages have all the right elements you need to drive a sale. For example, a great product page should include an image gallery showing different views of the product. The Add To Cart button needs to be positioned correctly. And, there should be enough space to write a great description. It should also include reviews and testimonials posted by customers. These features, however small they may be, play important roles in influencing a person to buy a product. Did you know that you can add a Wishlist function on your Shopify store? People love to create lists of things they want to buy later. This is why all retail stores, like Amazon and eBay, have wishlist functions. You can add a wishlist to your Shopify store using a plugin. Be sure to look for a theme that supports wishlists and allow users to easily add items to their wishlists. Of course, the shopping cart also needs to be attractively designed. It should be properly organized and offer clear navigation options to change quantity and remove items from the shopping cart as well. A mega-menu is one of the must-have features for an online store, especially if you’re selling products in multiple categories and sub-categories. For example, if you’re selling shoes, then you should be able to showcase different types of men, women, and kids shoe styles and brands on your product menu to help visitors easily navigate to the right category without having to browse through dozens of pages. 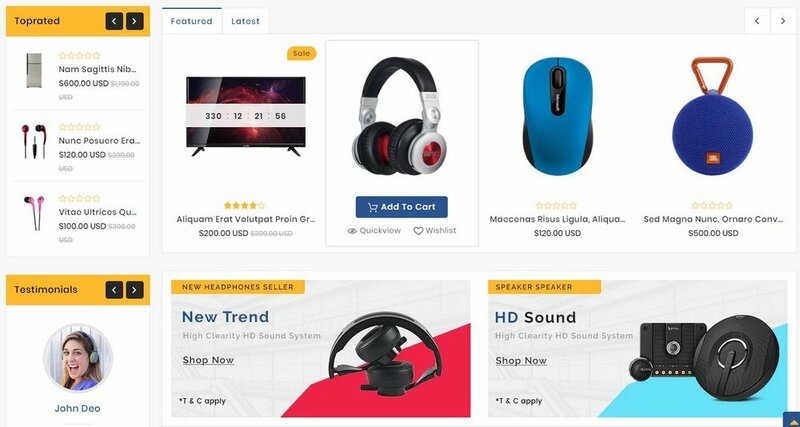 Look for a Shopify theme with a mega-menu and it will definitely help direct visitors to the right pages and drive more sales on your Shopify store. 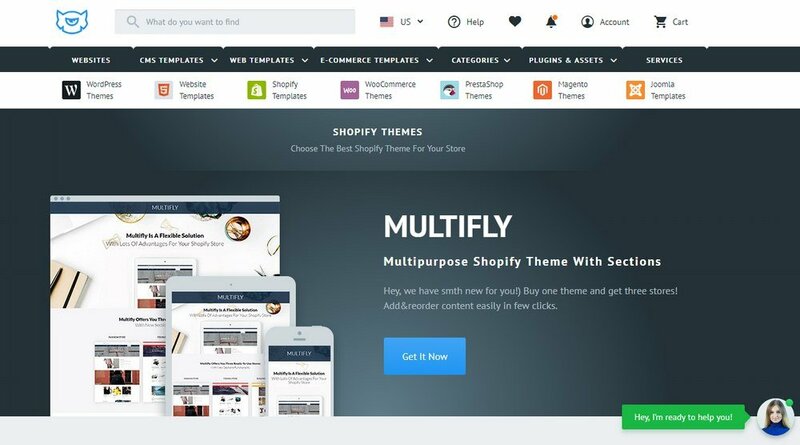 Now that you know how to find the best eCommerce theme for your Shopify store, as promised, here are the marketplaces where you can buy Shopify themes for as low as $29. ThemeForest is probably the biggest themes marketplace on the web. The platform offers more than 600 Shopify store themes with many different styles and designs at prices starting at just $29. Envato Elements is the new marketplace created by the team behind ThemeForest. This platform gives you unlimited access more than 600,000 design elements, including dozens of Shopify themes for a single monthly subscription. You can download as many themes as you want for $29 by subscribing to Envato Elements. 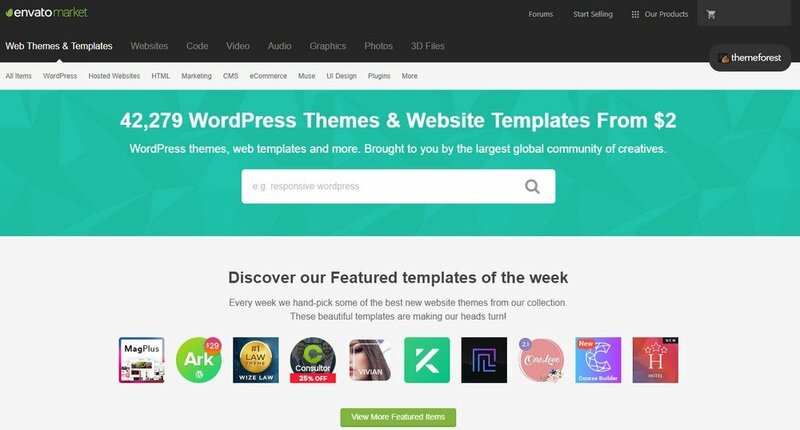 Template Monster is another popular themes marketplace that offers unique and professionally designed Shopify themes. The site offers Shopify themes at prices starting at $83 and above. Every successful business starts with an investment. Upgrading your Shopify store with a premium theme will help you build the foundation for a more successful and profitable eCommerce business. Don’t always look for the cheaper option and end up disappointed. Be willing to take a risk and make your investments worth a while.